School is a social environment and student learning is dependent on relationships. 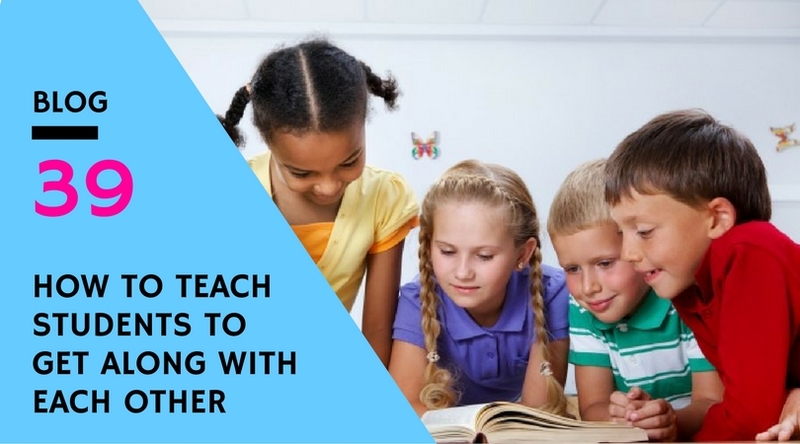 It is important for students to get along with each other as well as build relationships with teachers. Positive, supportive relationships are essential, because students need to feel safe to make mistakes within the learning environment (John Hattie, Visible Learning). Positive teacher-student relationships and peer to peer relationships support student to take risks, to have a go and to be unafraid to fail. To be successful in learning students must understand that it is okay not to get everything correct first go. A positive classroom climate powerfully increases learning and engagement (Marzano, 2012). Positive relationships between students are essential and are developed through a culture of mutual respect, modelled and taught by the teacher. Students will always take their cues from the adults around them. Develop positive relationships and a supportive culture that encourages all students to feel safe, respected and free to ‘fail’. 1. EXPLICITLY TEACH RESPECTFUL BEHAVIOUR. Make your classroom a ‘no putdown’ zone and encourage students to support each other by listening and valuing each other’s opinions. Incorporate Circle Time to encourage equality and acceptance allowing all students to have a voice and raise issues. See how to build a positive classroom culture here. 2. TEACH ‘GROWTH MINDSET’. Carol Dweck’s work emphasises the importance of effort over ability, the fact that learning something new can be hard, and valuing process over product. When you teach students how they learn, they will understand that it takes time and effort to learn something new, and they will be more likely to support each other in the learning process. 3. MODEL MAKING MISTAKES. Show students that you are not perfect and that you make mistakes too, especially when you are learning something new. Demonstrate that you are a lifelong learner by sharing your experiences with them. 5. ALLOW PROCESSING TIME. An effective learning strategy is to give your students time to think and discuss their ideas in pairs or small groups before they speak to the whole class. This helps to reduce students’ anxiety because they can compare their ideas with just one other person before speaking to the whole class. 6. CELEBRATE THINKING RATHER THAN PRODUCING. Reward ‘having a go’ and showing improvement rather than emphasising getting everything correct. Teach students how to think by providing scaffolding and processes to follow. 7. TEACH STUDENTS ABOUT THE BRAIN. Kids love to learn about how their brain works and with the current brain research we are discovering new information all the time. Help them understand how learning something new can be hard at first, but as our brains make new connections or neural pathways, what was once difficult is now easy. When something is hard it’s just because it is new, not because it is impossible.